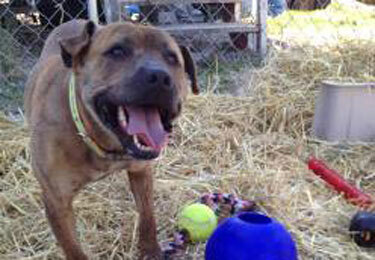 Dozer is a lovable lug who was in need of a safe place outdoors. 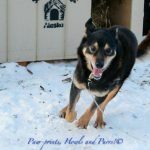 Luckily, his family was open to receiving assistance and in addition to care packages with toys, treats, bowls and a new collar, volunteers were also able to build him a kennel and a warm, insulated house. Now he can have better access to toys, water and shelter. He is more likely to have fun interactions with the family, as the kids have noticed that he jumps on them less when not on a tie out. Although our mission is to provide supplies and resources, our vision is to see dogs like Dozer living in the home, with their families. By working with caretakers in the community, Straw For Dogs hopes to create positive change for the animals in our outreach program and for the generations to come.